LessThanPi Art: Photo Study of the day! Photo Study of the day! 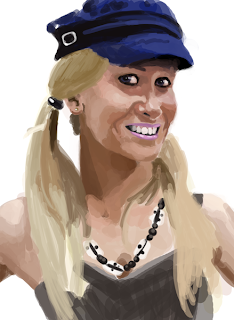 I've decided on a sort of new "segment" called "Photo Study of the Day!" where I take an image and try and... well study it. Right now I have a lot to learn so at first there will be a lot of roughness in these studies. But I'm sure you'll be able to see growth as you keep checking in on the blog. I'll also be taking requests. I will, however, need the name of the photographer and I ask that the image be tasteful. If there are any questions or comment please leave them below. And as always thanks for your time.